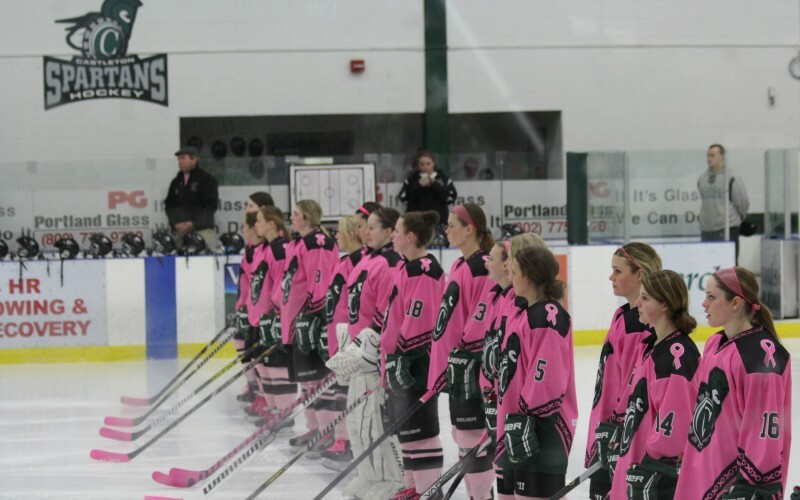 The Castleton University women’s ice hockey program has teamed up with Rutland Regional Medical Center to raise awareness and funds for breast cancer research with the 11th annual “Pink the Rink” event. The event will take place when the Spartans host conference-rival and defending NCAA Division III women’s ice hockey National Champion Norwich University at Spartan Arena on Friday, January 25 at 7 p.m. Throughout the rich history of the event, Castleton has helped to raise nearly $60,000 and looks to continue playing its part in the battle against breast cancer. Learn more about the Foley Cancer Center at Rutland Regional Medical Center.